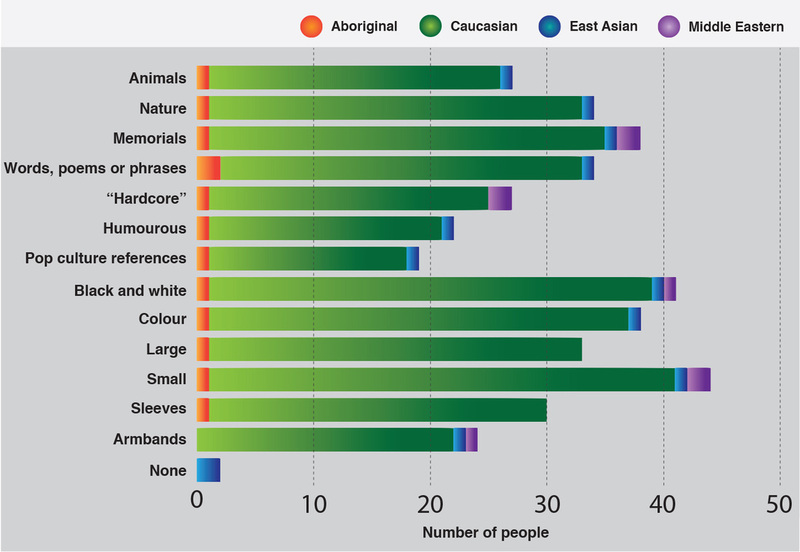 Though the sample size for Aboriginals and East Asians was small, none of the respondents had a tattoo. Caucasians are more open to the idea of having a tattoo than other demographics surveyed. No caucasians identified religion as a reason for not getting a tattoo. All the other demographics listed it as a a major reason. What kind of tattoo do you like? It is interesting to note that only East Asians said they didn't like any tattoos at all.